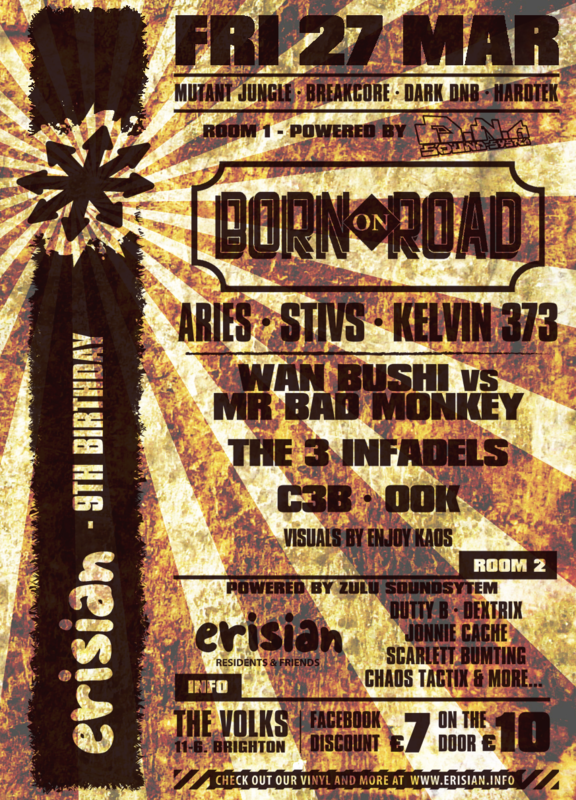 Established in 2013 by Aries and Kelvin 373, Born on Road is a vocally-driven Bass Music label exploring musical boundaries across genres including Dancehall, Bashment, Reggae and Jungle. Pushing raw emerging talent alongside industry heavyweights such as Mc Navigator, David Boomah, Buggsy and Eva Lazarus. Working hard sourcing talent and music that fits within the ethos of the label. Aries and Kelvin decided they didn’t want to be stuck in the boundaries of one tempo or style, but instead wanted to showcase new and established vocalists and have introduced some strictly business producers Stivs and Gold Dubs to the label. Hi octane mashup gypsy breakcore and bladklart raggacore provided by belguims finests! The North Sea divides Katch Pyro and Dr.Roman but still can’t stop them making the catchiest but fiercest DnB and Tek going. £7 With your name on the event’s Facebook wall. Please only put your name on, if your mates want the discount get them to do it as well. 3 x Ragga Tek / DnB Dance Floor Movers! 2 x Ragga Jungle bangers and 2 x Gypsy infused Jungle / Core.